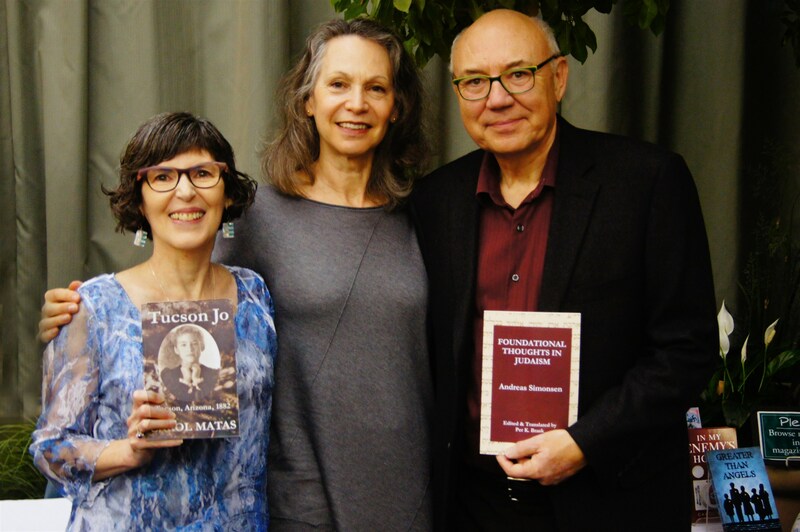 The Whole Megillah (TWM): Tucson Jo is a marked departure from the last book I read from you, Dear Canada: Pieces of the Past: The Holocaust Diary of Rose Rabinowitz, Winnipeg, Manitoba, 1948, the epistolary story of a young Holocaust survivor. Please tell us about why you chose to write about a Jewish girl growing up in Tucson in the 1880s. Carol Matas (CM): It is true that Tucson Jo and Pieces of the Past are very different but I’ve always had a fascination with history, with stories from the past, and in particular Jewish history and Jewish stories. My novel Sparks Fly Upwards is the story of a young Jewish girl in turn of the century Winnipeg, and The War Within is about a Jewish family during the Civil War. In 2002 my husband Per Brask and I were traveling in California and I happened to notice there was an exhibit on at the Autry Museum of Western Heritage in Los Angeles called Jewish Life in the American West. We couldn’t wait to go. The exhibit was fascinating but one particular picture was riveting. It was a picture of a father and a son and they were cowboys! Jewish cowboys! That picture was of Charles Strauss and his son taken in Tucson Arizona in 1882. From that moment I knew I had to write a book about them. It took until 2006 for us to make it to Tucson to start researching the book and another 8 years until the book was finally finished. So quite a work of love! TWM: How did you conduct research for Tucson Jo? CM: The first thing I did was research on line so I would know where to research. It quickly became clear that the best sources were going to be original materials, and those were housed in the Arizona Historical Society, in Tucson Arizona. We, my husband and I, visited there and with the help of the staff were able to read original documents, letters, even recipes from the Strauss family and other families of the time. We toured the Jewish Museum in Tucson and were given lots of background on the Jewish community and we visited bookstores and gathered local history books to take home with us to read. We also did local tours in Tucson, for instance, seeing a restored house from the era which was largely the basis of Jo’s house and a replica of a local grocery store at the Historical Society. We also visited the Los Angeles City Library and a map store filled with original maps from the era, some of which we brought home with us. When we returned home I started reading all the books and other materials I had collected on the trip. I also read anything I could find on line as well as books I had ordered. And finally I felt I had enough of the history under my belt for a first draft. But in some ways the research had just begun. When Morri, my publisher at Fictive Press took on the manuscript she began to press me on certain facts and times and dates in the manuscript. Some of them I couldn’t pin down, like the trousers issue — was it actually against the law to wear trousers? If so when did that happen? When we discovered the answer it actually changed the story and necessitated a fairly big revision, which Morri and I both believe made the book much better. In fact we contacted The Arizona Historical Society so often they were considering charging us for the information! We pinned everything down just before that was deemed necessary! And by the way most of the information about the trousers that was on the web and even in books was wrong — it took quite some detective work and a very persistent editor to get it right. We were also in touch pretty regularly with The Pima County Librarians, and the Tucson City Clerks who were very kind about answering questions as well. To name a few of the things we had to get right: what the streets and squares were called at the time, what ordinances were in effect such as gun regulations, the dates of the mayoral race, (that was really hard as every book had a different date), the times and dates of the shoot out at the train station, the description of the schools and number of students who went there — well, you get the idea. TWM: Was your writing process any different for this book than your other books? If so, how? CM: I’d say the process for this book was very different from my other books. First of all, I almost never write a book that I haven’t signed a contract for and with this book I was writing it on my own over many years. I would go back to it in between my other projects, until finally when Fictive Press took it on it became the priority. But more importantly the initial research almost destroyed the book. I had become so tied to Charles Strauss and his family and his story that the book was never able to take off properly It wasn’t until Morri took over as editor that I realized I had to change the story from “Based on Charles Strauss and family” to “Inspired by Charles Strauss and family.” It was at that point that I made the chronology of events fit the story rather than the other way round and was able to more fully develop my characters. I think that was the turning point for the writing of this particular book. TWM: Did anything surprise you while writing Tucson Jo? CM: Absolutely! I would have to say the most surprising thing was to discover that my original inspiration for the story, the picture of Charles Strauss and his son dressed up as cowboys was nothing but fiction! He was a dandy from Boston and he had rented the cowboy gear and dressed him and his son up to send the photos as postcards to his friends and family back East – just for fun! TWM: Did anything surprise you while trying to place the manuscript with a publisher? CM: I was disappointed of course, when my usual publishers passed on the manuscript, but to be fair to them the book you see is nothing like the book they passed on. On the other hand Morri believed in the book from the moment she read it. And she was the editor who was able push me to see where the real story was and how to get there. I do have a stubborn streak and I never wanted to give up on this story. Especially over the last few years — it has become so apparent that we need a conversation about law and order vs freedom and what that really means. I, for instance cannot understand regulating and licensing a car, or even the food we eat but not a gun. And it was instructive to learn that the “Wild West” was far less wild than it is now, and that only the lawmen were allowed to carry fire arms in the city. What is more central to freedom than life itself and yet anyone can take that away from you in the name of freedom. I am also a passionate advocate for women’s rights and this was a terrific venue to explore that topic. 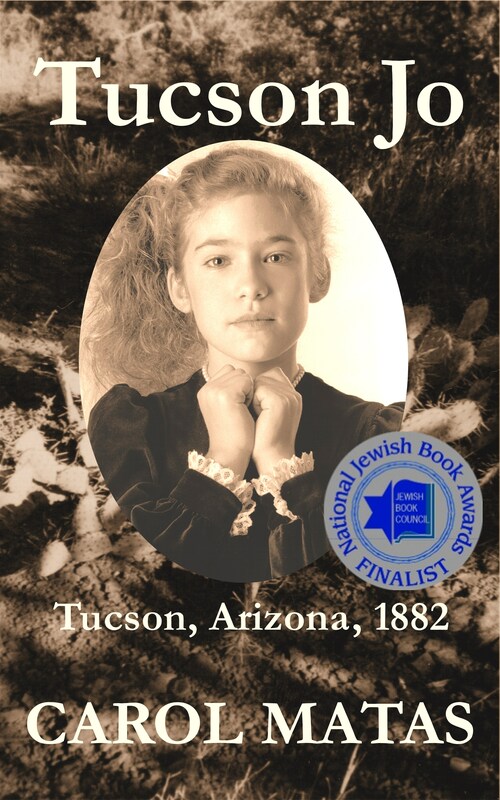 TWM: Tucson Jo recently earned recognition as a National Jewish Book Award finalist in the children’s book category. Mazel tov! As the author, what do you think makes the book stand out? CM: I honestly can’t answer that question! I am just thrilled that the book was recognized by such an auspicious organization. I always try to write on two levels. The first is to write an exciting story the reader can’t put down. The second is to put in lots of questions about the world we live in now. Questions that will make my readers think. And I figure some readers will be happy to read the book just for the story and others will get something deeper from it. And for me, historical fiction is relevant only if it says something about our lives in the here and now. TWM: Is there anything you wish you had done differently? CM: I never go back and re read my books once they are done. And I think of them all as my children — they may not be perfect — okay they aren’t perfect — but I love them all as they are. Before publication though, I have been known to write as many as 30 drafts just trying to get it as right as possible. Tucson Jo was right up there in terms of multiple drafts — certainly over twenty. TWM: What authors and books inspired you while growing up? CM: The one author that inspired me more than any other was Frank L. Baum. I read all the Oz books — or most of them — and just adored them. I still do. They had a strong female hero, two if you count Ozma of Oz as well as Dorothy, and lots of action and adventure and humor and imagination! The things he came up with- lunch boxes that grow on trees and princesses who could change their heads and when they did that change their personalities etc etc. He instilled in me a love of reading, a delight, a pleasure, that I would be so happy to be able to pass on to my readers. TWM: What advice do you have for aspiring novelists and novelists of historical fiction? CM: I think you have to write the truth. If you are always honest and if you respect your readers then all else should follow. 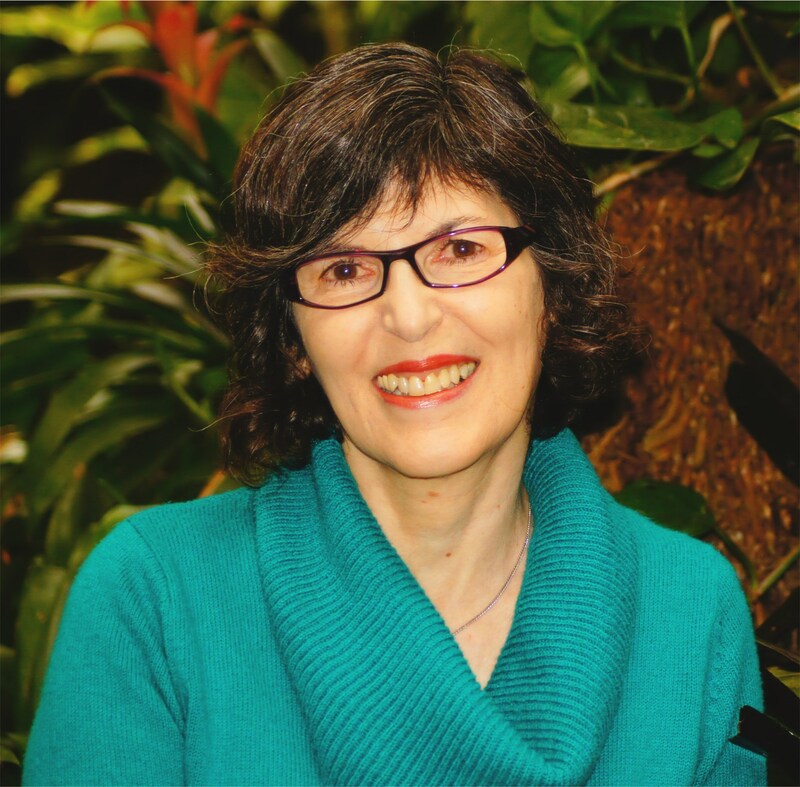 Carol Matas is an internationally acclaimed author of over forty-five novels for children and young adults. Her best-selling work, which includes three award-winning series, has been translated into over fifteen languages from all over the world. Carol writes contemporary and historical fiction, as well as science fiction and fantasy. She has often written about Jewish themes, and is well known for her books concerning the Holocaust, writing Daniel’s Story at the request of The United States Holocaust Museum in Washington, D.C.
Carol’s books have received over 100 awards and honors, including, most recently, a Sydney Taylor Honor Award, a Canadian Jewish book Award for Pieces of The Past, and Finalist by the National Jewish Book Awards for Tucson Jo. She has adapted some of her books into plays and has had productions in Tel Aviv, Montreal, Toronto and Winnipeg. This entry was posted in Authors and tagged carol matas, fictive press, morri mostow, national jewish book award finalist, per brask, tucson jo. Bookmark the permalink. Thanks for sharing this, Barbara (and Carol)! I enjoyed reading a little more about the process behind the book.